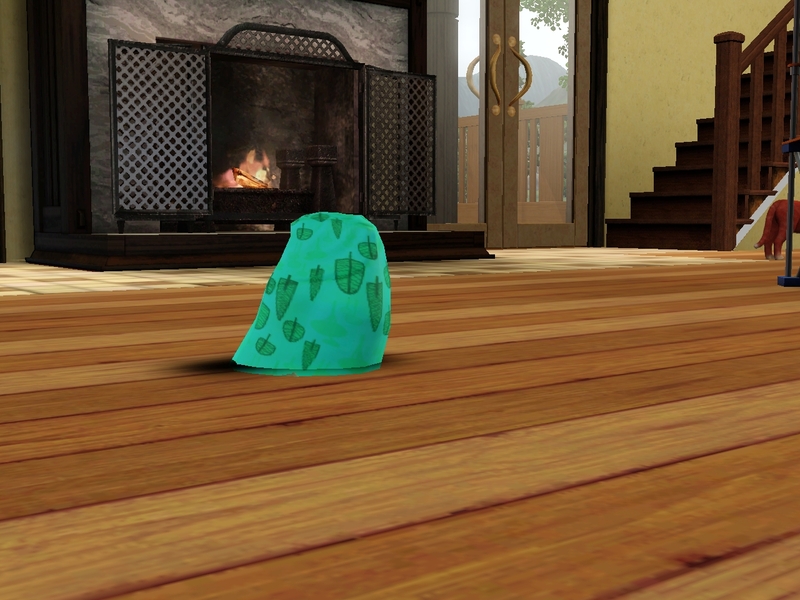 I hurried to get a very stinky new Mr. William Wonderland home before he could do any more damage to himself or others. As soon as we got home, William headed straight for the bathtub. I, on the other hand, was exhausted. It seemed like ages since I’d had a good night’s sleep. I headed to bed and was asleep within minutes. I woke up to the sound of Bungle freaking out. “But you’re having a baby!” Bungle cried. Why Bungle knew I was in labor before I did is one of those questions I know better than to ask. And where was William? He was having another argument with Mum. He didn’t respond when I called him. So I headed to the hospital by myself. William could work out his own crap on his own time. 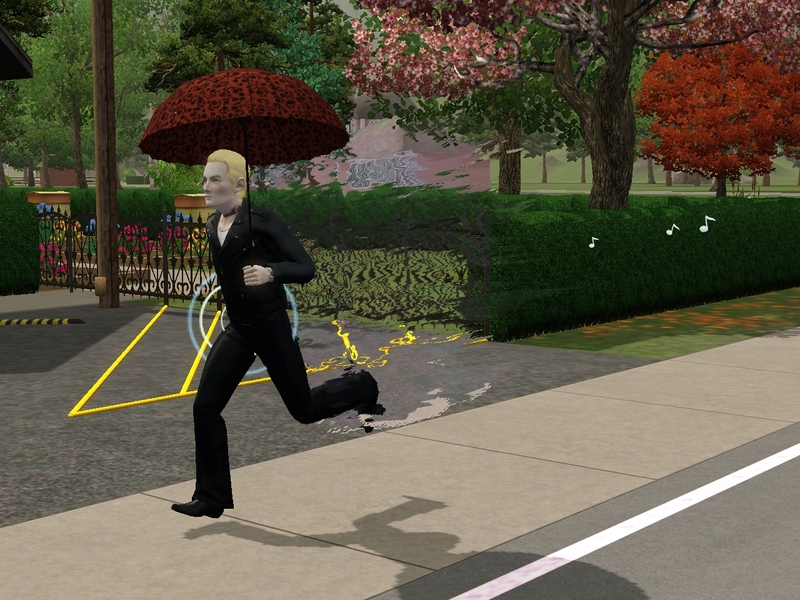 William figured out that he’d screwed up big time pretty quickly, and he headed to the hospital at full vampire speed. 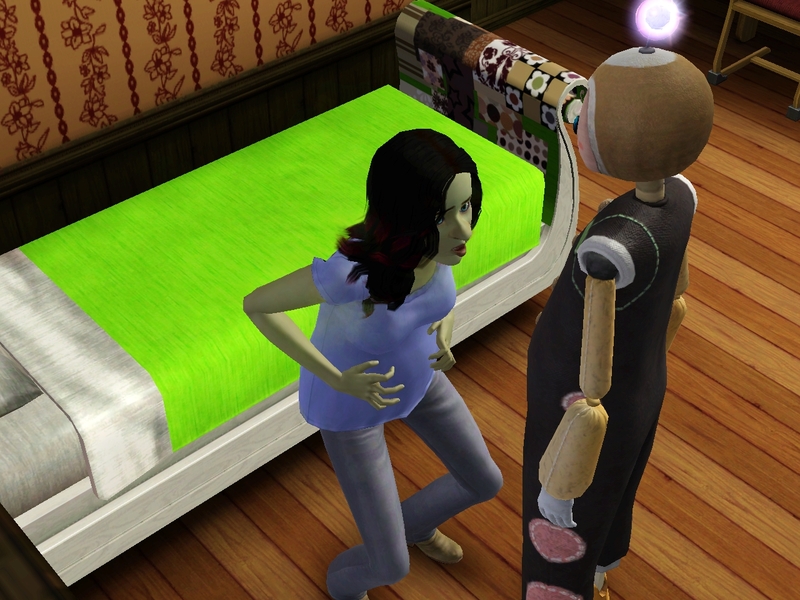 He got there well before the baby was born. That was good for me, but it was better for him. 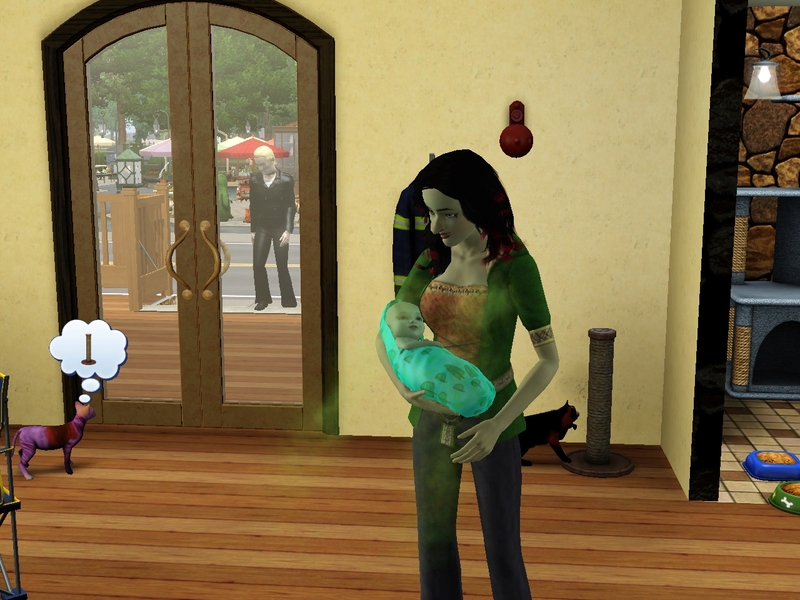 He would have hated his unlife if he’d missed the birth of our baby. William was a very attentive husband and daddy. He did all the right helpful things, including getting us home. 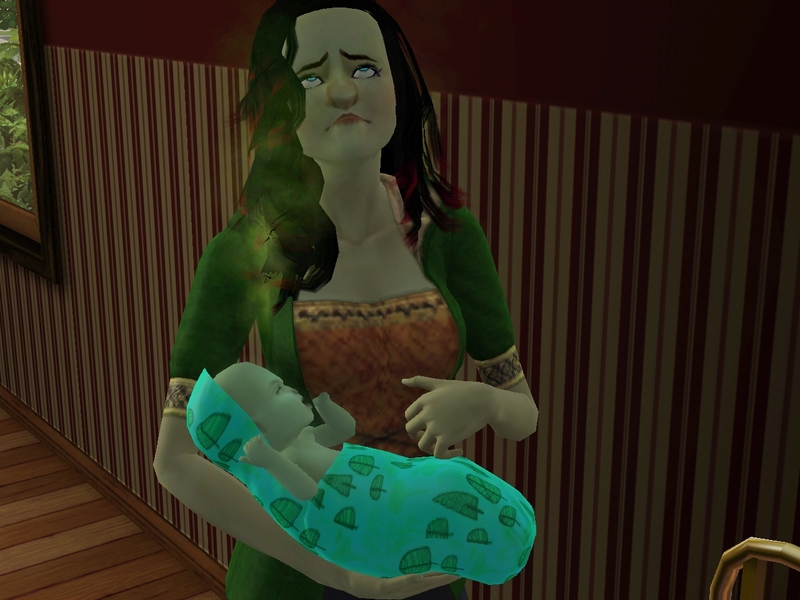 Once we arrived home with our bundle of joy, things got a little weird. Is this what happens when you cross a witch with a vampire? Does it hurt? Fortunately, when I pulled little Franklin out of the floor, he seemed to be just fine. And just as sweet as ever. William and I started to figure out what our new life as newlywed parents might look like. William took up the guitar. Mama and Mum really seemed to appreciate it. He didn’t sound very good, so I think they just listened because he wasn’t wearing his shirt. Mama was particularly appreciative of William’s physique. But wow, he stinks! Or is that me? I think maybe it’s both of us. The happy grandparents doted on him. 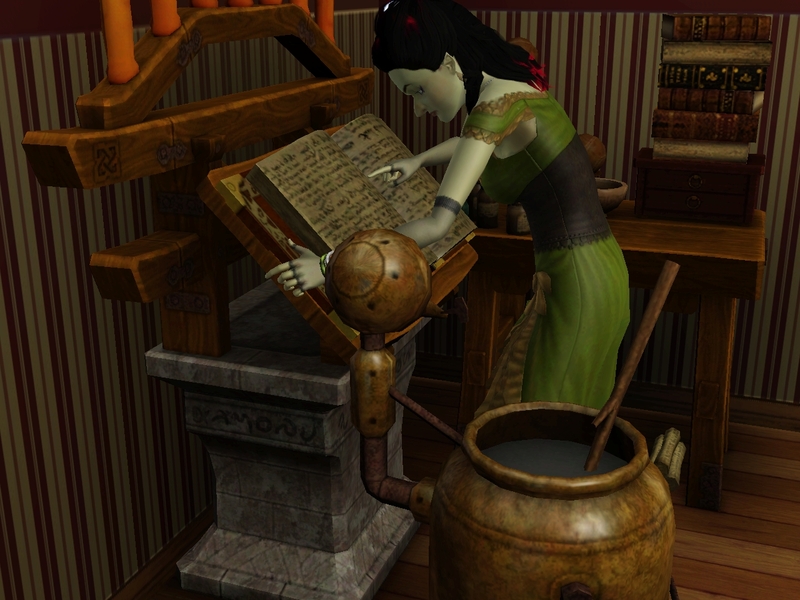 While my parents and William took time with the new baby, I put more work into my alchemy research. But the bliss couldn’t last for long. Sweet, elderly Dinah had to leave us. We were all devastated. Except Bungle, who was more upset by the lousy music on the stereo. Dinah had a long life, though. It was hard to feel cheated. 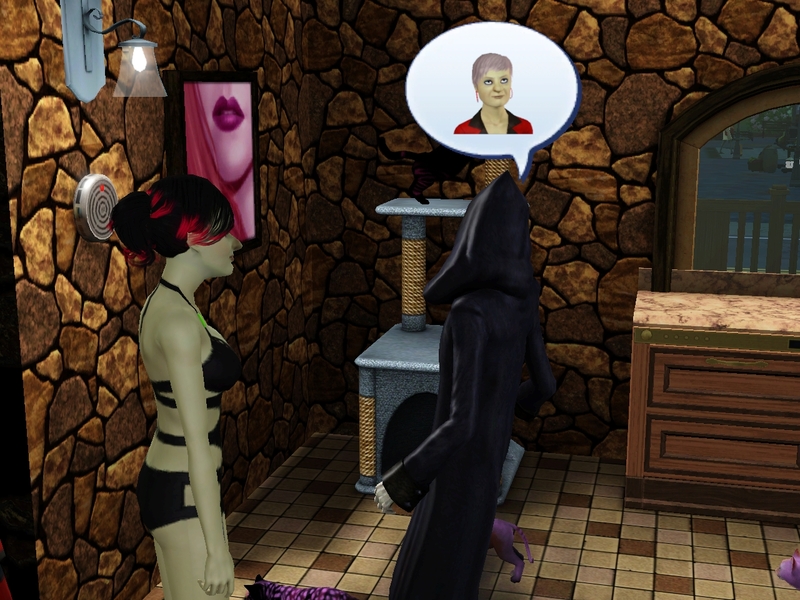 I took some time to thank the Grim Reaper for being so generous. And I was trying to be friendly! 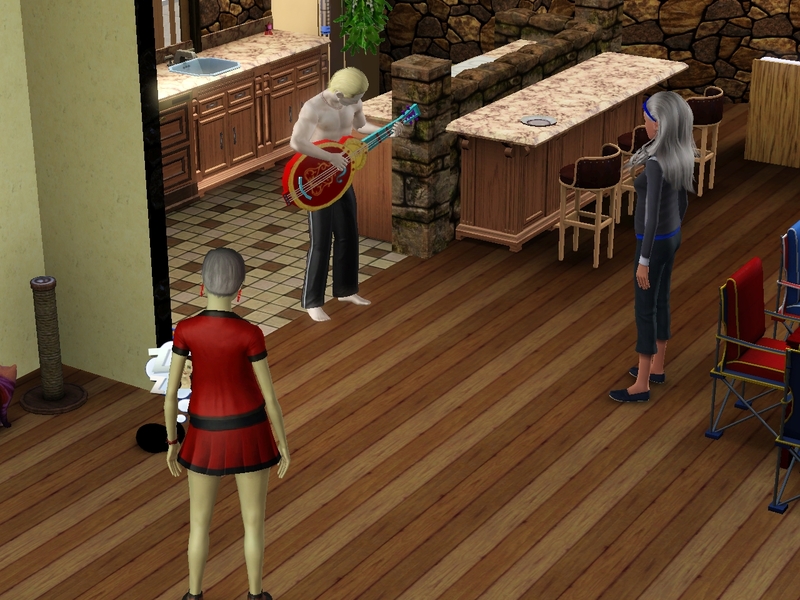 It’s a good thing that Mama and Mum were too busy having grief woohoo to hear this guy. I want to get far away from this Grim. We’re moving. Actually, Dinah was like 10 days over her lifespan, and I finally triggered her death. 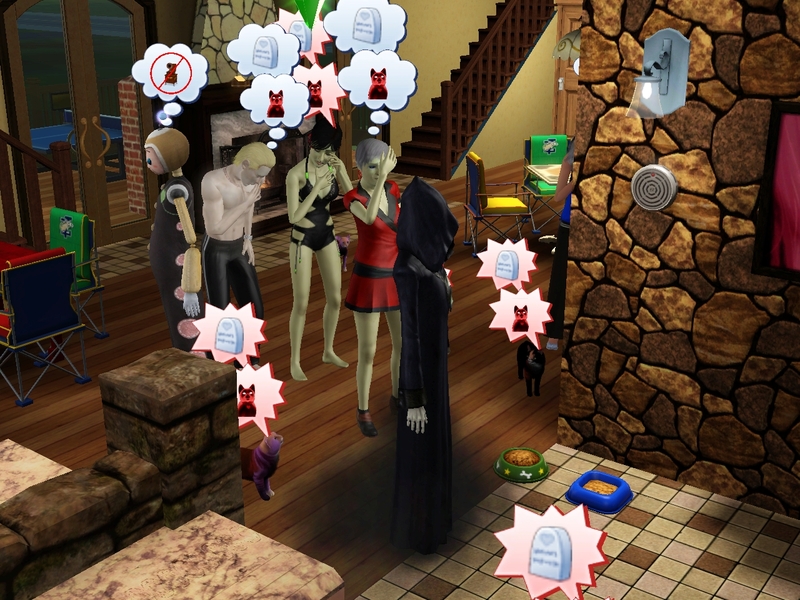 Someplace in there, my sims started living much longer than their lifespan indicates. I’m looking into some settings in MC to put a limit on how long characters can live. 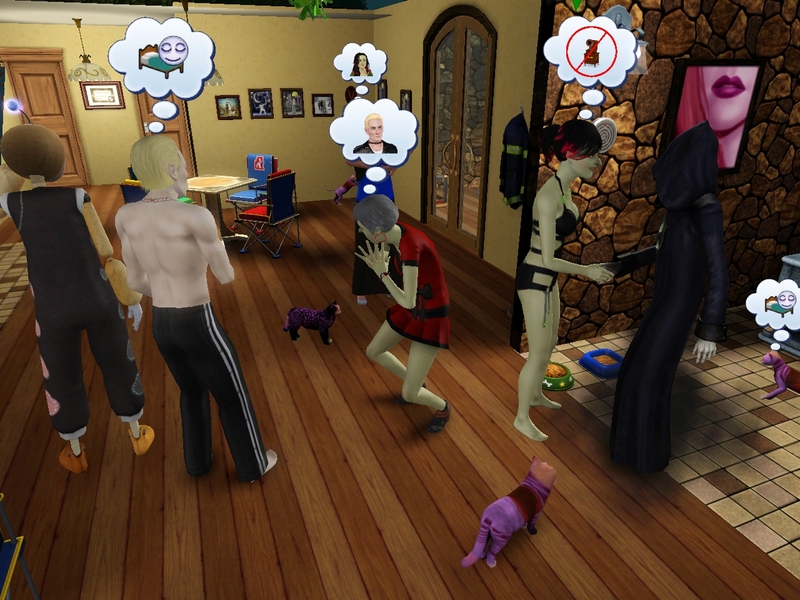 It’s hard to let a sim go until your house is stuffed to the gills and you can’t handle any more. 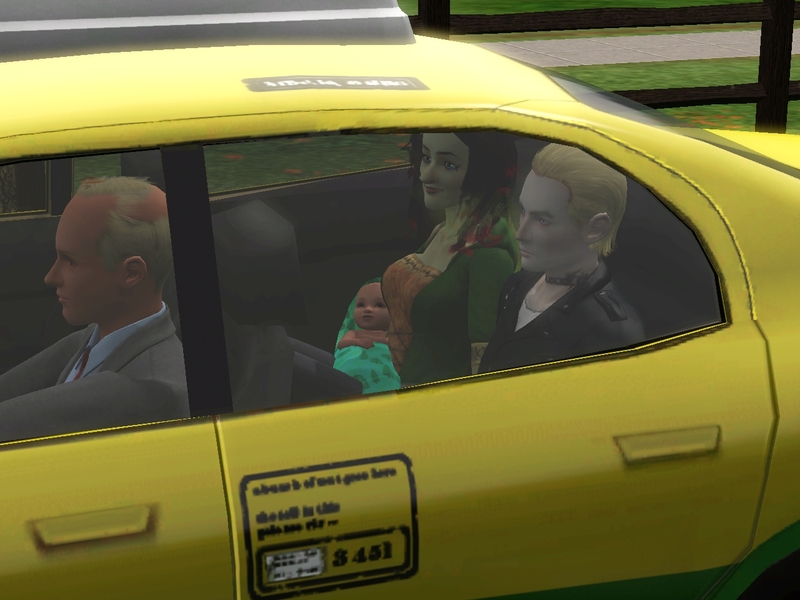 The baby-in-the-floor glitch was caused by me needed to do a save/quit while the family was on their way home from the hospital. 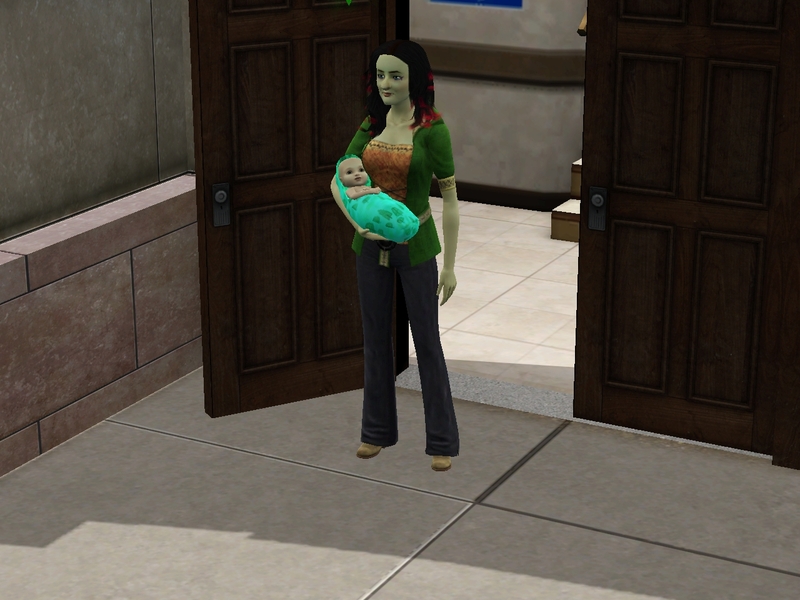 Usually that teleports the baby home, but I’d never seen THAT happen! 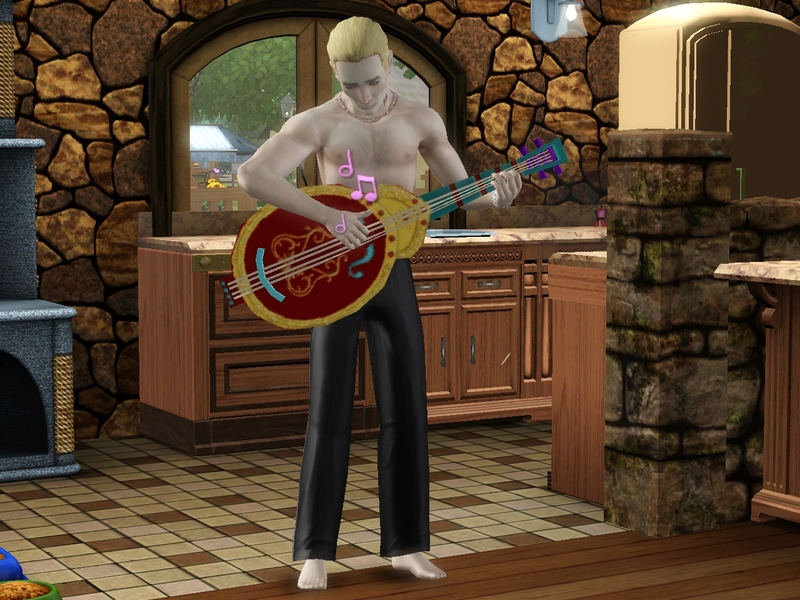 William with the guitar was me using his free action. William has no trouble making time to paint, and I thought maybe he’d be autonomous about music as well. No go. 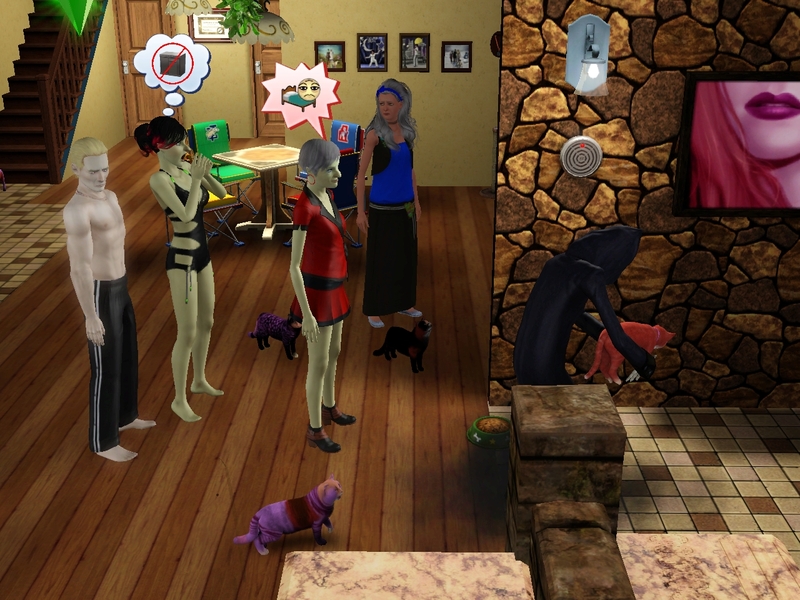 He got to like level 3 before he had to stop playing and pee, and he’s never done it autonomously. 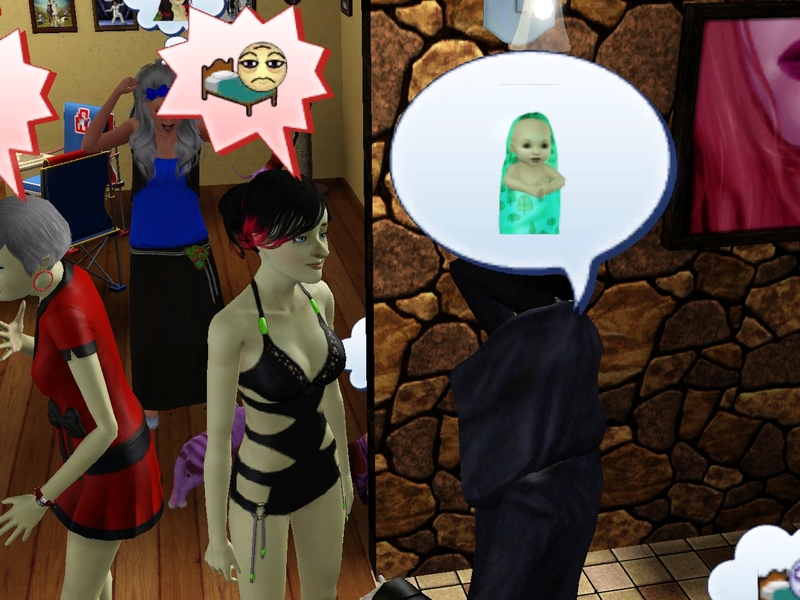 This is, in fact, the very last screenshot in this home. Next post, the family moves to Aurora Falls!! 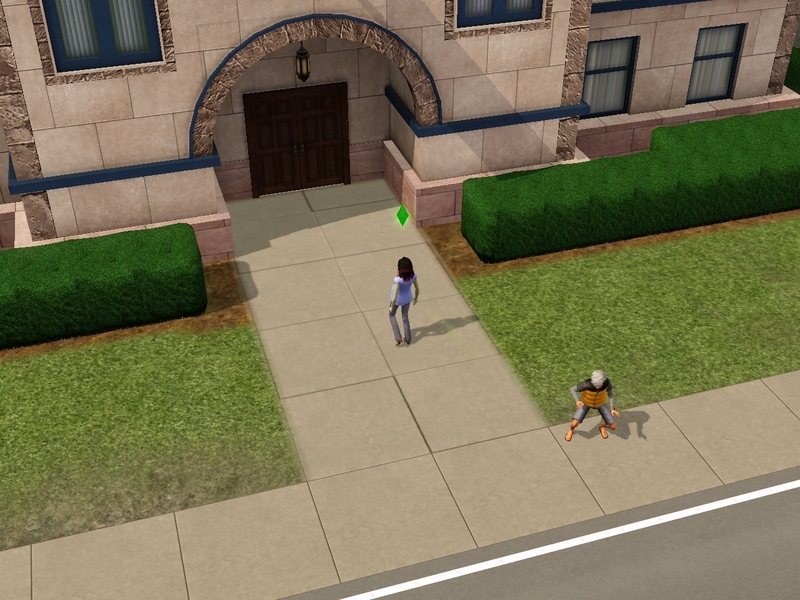 Ooooh, new house – that's always exciting. 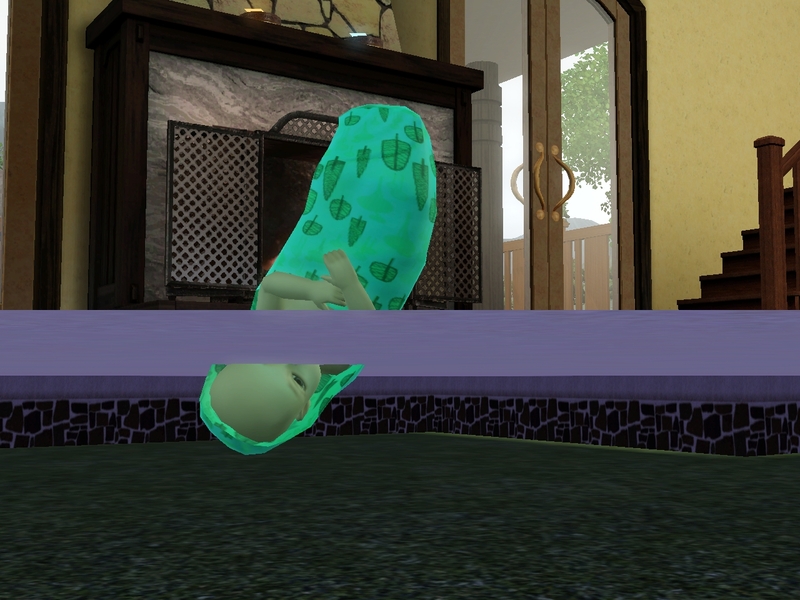 Cute turquoise baby! Is he a vamp or a witch? Wow! 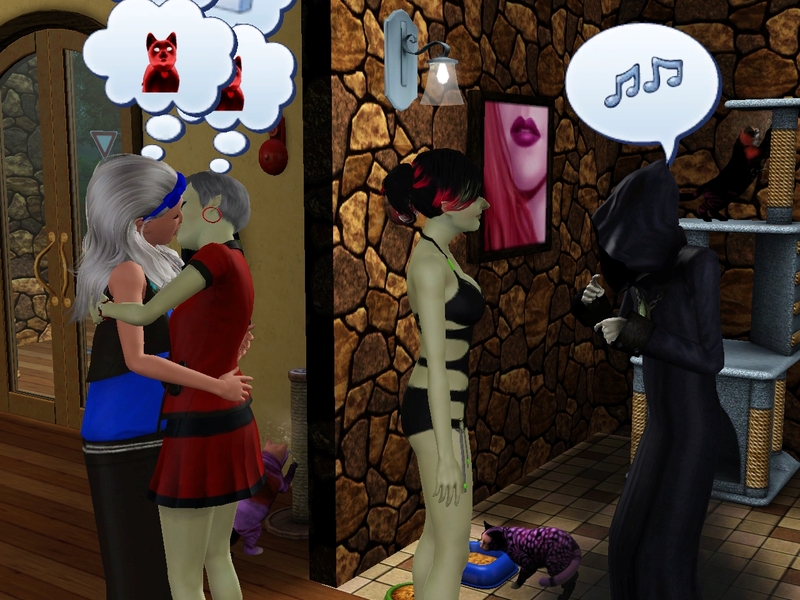 William must be fit if two lesbian sims can't get enough. He does look turquoise, doesn't he? That shouldn't even be possible. I didn't think they pulled skintone from that far back. 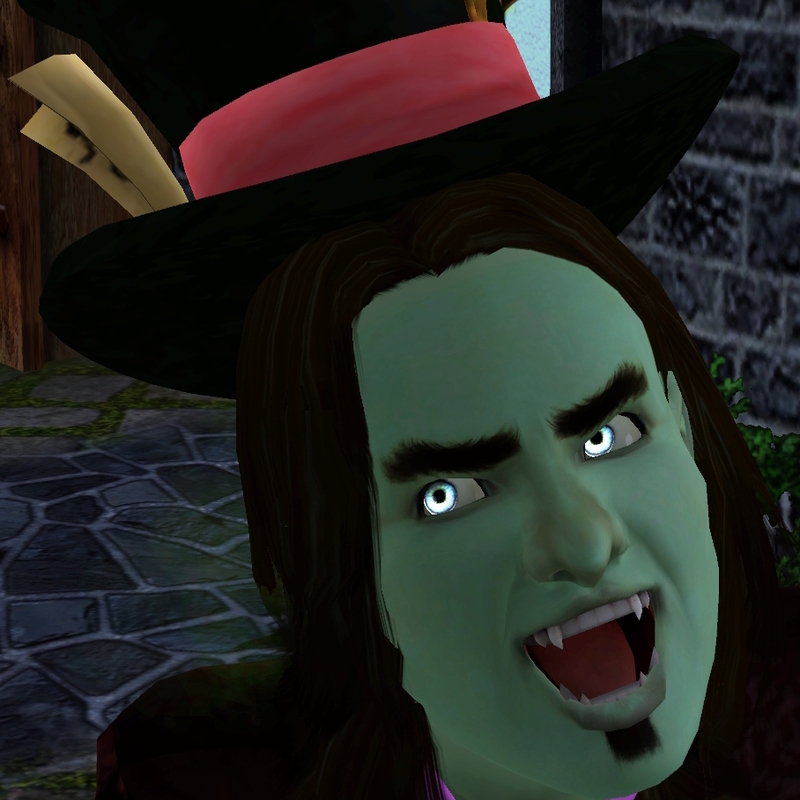 Big reveal: Franklin is a vamp AND a witch. (I have NRaas Hybrid installed for just this challenge.) He's Insane and Green Thumb. Scary child! 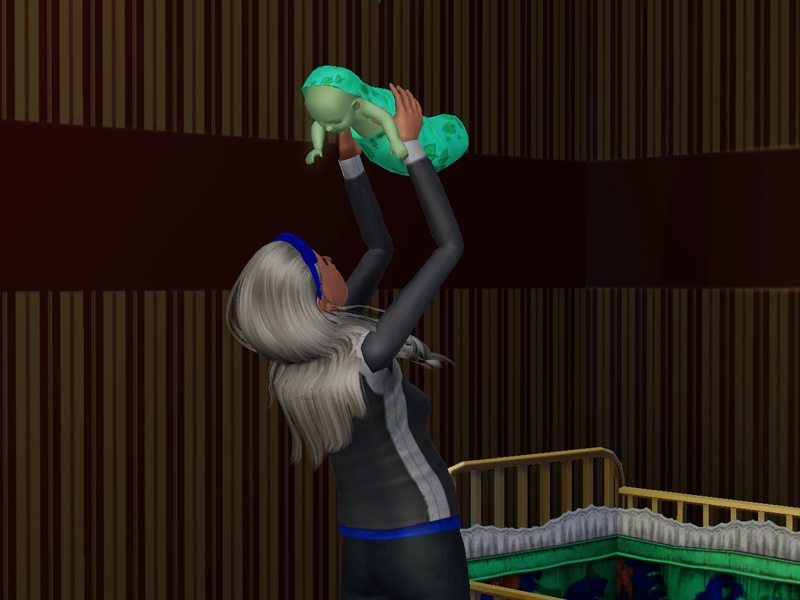 He must have his mothers skin tone but it's diluted by his vamp skin tone which makes him look more turquoise. 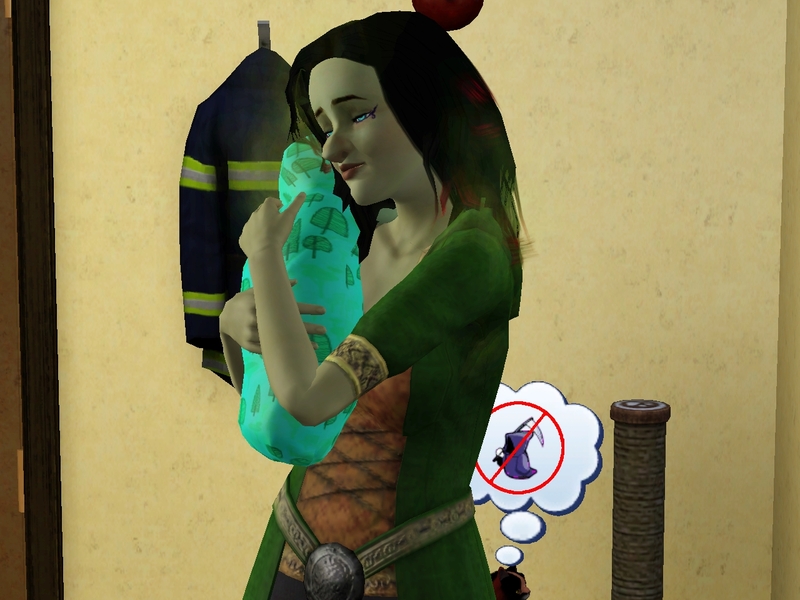 I have Nraas Hybrid installed as well, but as Arya and Hunter's first born is still a toddler, I can't tell if he/she inherited both of his/her parents life states. Only one is dominant so far. 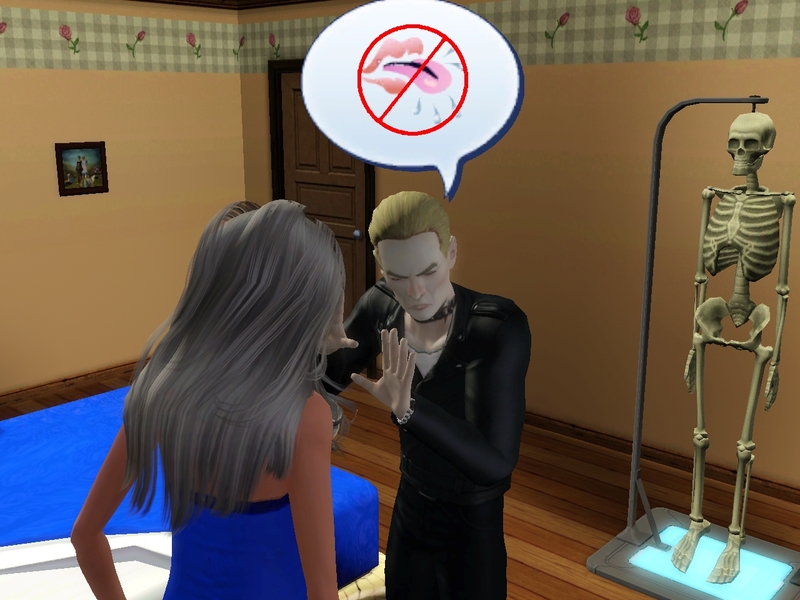 You can tell what supernatural states the sim has on the relationship panel. I think every supernatural state has a different border to the portrait, and hybrids are red. Franklin is a child in gameplay and hasn't really done anything to express either supernatural state. BTW: I'm dying to know the name AND appearance of Arya and Hunter's first kid. Yay for the nooboo, Franklin is a cute name, nicely fits your theme. Can’t wait to see what he looks like when he grows up, hopefully he has some cool genetics. From the guitar thing, I’m guessing William’s LTW is Master of the Arts? That sounds like a hard one to get the idiot to do if he doesn’t have the traits for it. I don’t recall what William’s LTW actually is. 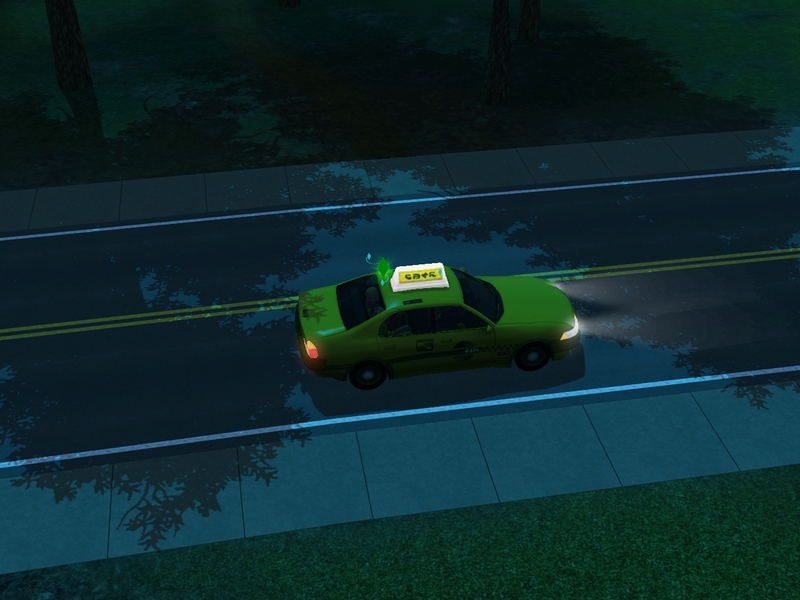 He has the trait Artistic, and he painted autonomously all the time. I figured Master of the Arts was a LTW he might be able to finish. I think he’s Artistic, Hopeless Romantic, Mean Spirited, Daredevil, and something else. Seems like a good summary of Spike from Buffy. Heh.